We knew we’d get robbed at some point. Thank you, Playacar, Mexico. We can now check that off our list (though we realize it may happen again!). We also knew we’d lose important things that would remain gone. Two days after finally finding an available iphone 6 in CA, it also went missing while hiking in gorgeous Idyllwild! That’s another story, another blog post. But the one thing we dreaded most, apart from anyone’s safety being in danger, was losing our treasured passports! We’ve been fairly obsessed about keeping track of where our passports are at every moment. But…after two long weeks of visiting many of our dear friends in CA, shopping nonstop to prep for the next ten months on the road, and then taking a redeye flight from LAX to Papeete, Tahiti, the inevitable finally happened, and our passports disappeared! Completely. Totally. All SIX of them! 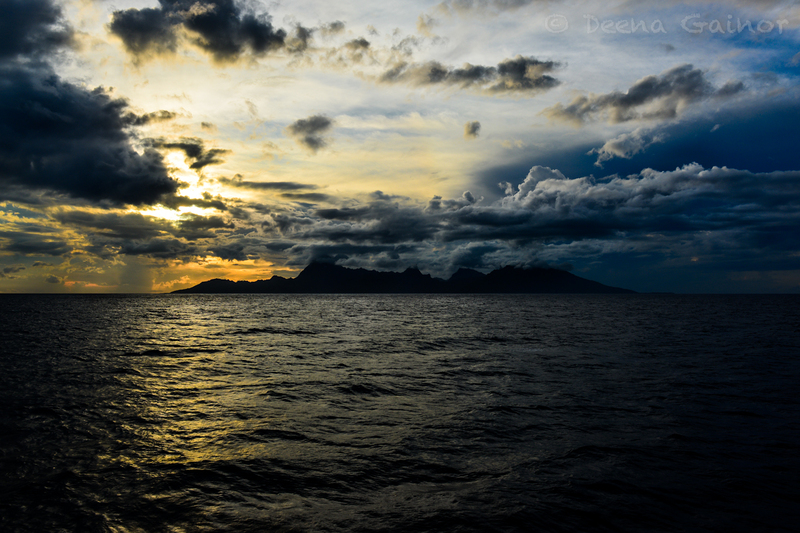 We arrived into Tahiti at 6:10am Wednesday morning, exhausted and bleary-eyed. Some of the kids (well, Danny) slept very soundly and were rather energetic and happy upon arrival. Then there was Ryan and Deena. Neither of us sleep very well on a plane. In the chaos of trying to gather all of our bags, find a taxi for six people and a bunch of luggage, and getting our money exchanged, passports exchanged hands, from mine to his. And that was the last we saw of them. When we arrived at the Ferry to cross over from Tahiti to Moorea, I asked Ryan for the passports. As I mentioned above, I’m a bit obsessive about them. He looked surprised, and said he thought I had them. Nope. He began to search his bags, every nook and cranny. Nothing! We searched the other kids’ bags, in case he had thrown them in quickly, while getting cash from the ATM. Nothing. At this point, we had ferry tickets in hand and the ferry was leaving in less than five minutes. The next crossing wasn’t for another two hours. We wanted to stay together, but unfortunately they had already loaded all of our luggage onto the ship, so off we went, without Ryan, who headed back to the airport and retraced his steps. He searched for a while but was unable to find any trace of our passports. Resigned, he headed to the police station within the airport for assistance. The police were extremely helpful, really desiring to help. They went through the whole incident with Ryan, step by step, and even walked outside with Ryan, retracing his steps once more. They brainstormed together and also contacted the US Consulate for assistance. The agent at the US Consulate was also very kind, encouraging Ryan to bring the whole family back to Tahiti and to the Consulate to apply for emergency passports. Though it was difficult, he thought if we were able to do so right away, then we might be able to get new passports within the week, prior to leaving for New Zealand. 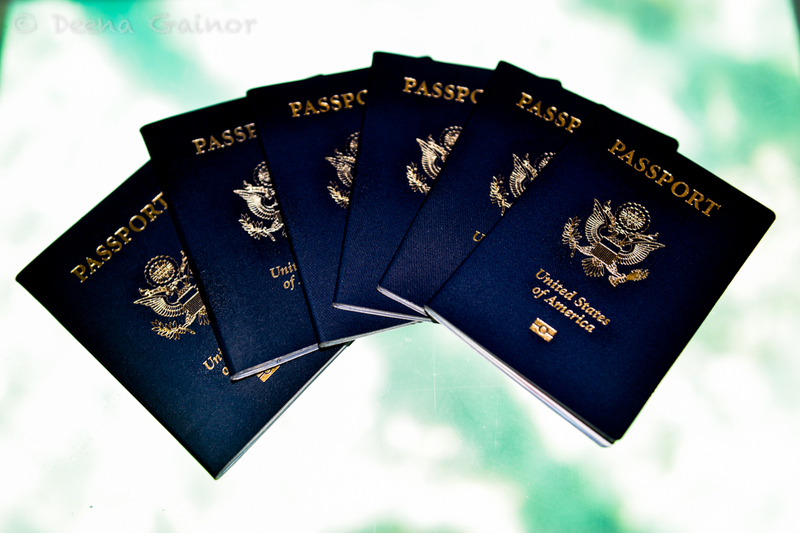 Without our passports, our travels would be halted! Meanwhile, I have the four kids and all of our luggage! We arrive into Moorea without the needed French Polynesian currency to get a taxi to our hotel. Ah…and so the brainstorming begins. With very limited French, we communicate with several people and are finally able to negotiate a US fare of $20 to take us to the Sofitel. The kids were very helpful, offering to watch the luggage, carry it back and forth, etc. They couldn’t have responded more kindly to the whole situation, and for that I was very grateful, especially considering the fact that most of them had also had a sleepless flight over and were hungry and tired. 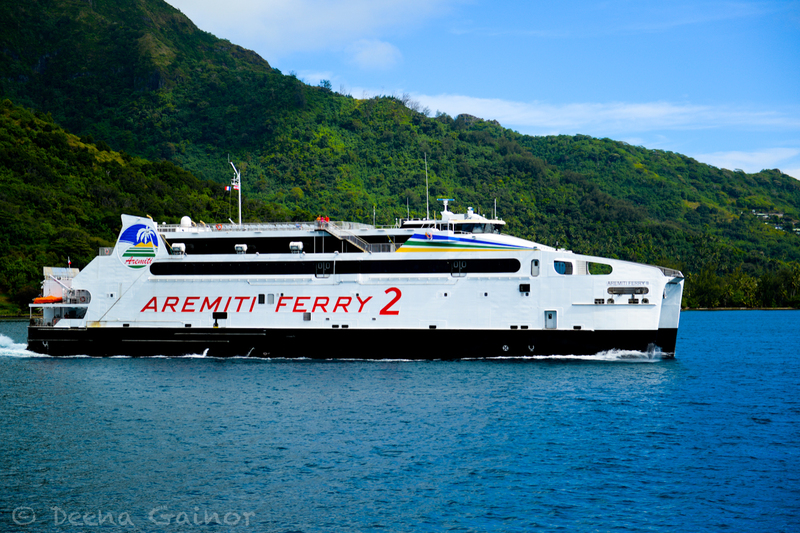 Once we arrived at the Sofitel, we began the check in process, but this was interrupted by a phone call from Ryan, asking us to return to the ferry immediately and cross back over to Tahiti. Given the effort it had taken to get all five of us over on the ferry and to the resort with all of our luggage, this came as a surprise, as well as a huge disappointment. But he quickly explained the situation, and off we went, back to the ferry for our 35-minute return trip to Tahiti and to the US Embassy. At this point, the cost is really beginning to add up, but we had no choice. In order to get new passports in time, we had to have all the kids with us, get new photographs, file completed applications, etc. This was definitely not on our “to do” list for Tahiti. But apparently, God had other plans, and we worked hard to remember that He is sovereign in ALL situations. So we went, and tried hard to maintain good attitudes, when really all we wanted was some food and a nice hammock to lay out on and sleep. Ryan met us on the other side, taxi ready, and off we went to the Embassy, which was a little difficult to find, as it was in a shopping plaza right next a lingerie store. Not exactly what we were expecting, but we were SO thankful to find it. The agents inside could not have been any more sympathetic or helpful. They gave us everything we needed and then brainstormed with us how to fix this problem, as an emergency passport was only good for three months. Since we still have ten months left of travel, this posed a real problem. They kindly began to work on a solution, while handing us 18 sheets of paper to fill out. We also had to head over to another office to get our passport photos re-taken. What we thought might only last an hour or so ended up taking us all afternoon. Our progress was a bit hampered by not knowing Social Security numbers for the kids, but we were able to overcome this with assistance. We found a restaurant, ordered lunch for everyone, and proceeded to fill out the requested information. Internally, I was really struggling with frustration and discouragement, praying God would increase my faith and calm our spirits, because I have to admit we were really struggling. Finally, at about 4pm, we were done. With passport photos and applications in hand, we headed back to the Embassy to submit all of the paperwork and get the process started for canceling our old passports and applying for new ones. All of this was being done with the hope of getting new passports on time, but there was absolutely no guarantee that this would happen. Well, to make a very long story just a bit shorter, the two agents were going through the process of canceling out our passports, and were about to run our credit card. Of course, this process is very expensive! $135 per passport time six plus an $80 courier fee, and a few other costs as well. Right before the process was final, meaning there was NO turning back, the Embassy receives a phone call from the police at the airport. Good news! Someone had actually turned in our passports and, by the way, our credit cards as well! Turned them in! The unwanted drama was over. We couldn’t believe it! After about eight hours, we had really lost hope in that happening, and were truly stunned by the news. Of course, we wondered why it had taken all day for them to turn up. We only found this out the next day. I received a phone call from the Radisson in Tahiti, where we would be staying five days later for two nights. Apparently, the person who found our documents did not turn them in right away. Instead, he insisted on calling every single hotel on the island of Tahiti, hoping to find us by name, as he wasn’t sure if the police would go that far! He connected with the Radisson, who took the time to find us in their system. Next, the woman at the Radisson discovered that her colleague knew our itinerary (another amazing story) and discovered we’d be on Moorea for the first five nights. She then proceeded to call every hotel in Moorea until she found us. She then left a message telling us about the recovered passports. Unfortunately, we had not yet checked into our rooms, as we were over on Tahiti, so we didn’t return the phone call. This woman then went another step and called us again the next day! Fortunately I was in our room at the time and answered the phone. When she filled me in on all that had transpired, I was truly blown away by the kindness of these two strangers. When we reach Tahiti on Monday, we hope to look them both up and thank them profusely. WOW….what a trial, but then what a fantastic validation that most people really ARE good at heart. Bravo! Hi Sharri! We were feeling very grateful for the kindness everyone showed us. It was such a contrast to our experience in Playacar, and we’ll always remember the kindness. Hope you’re doing well! Oh my goodness. I am so glad you had a happy ending, I find it so encouraging that a total stranger would go through such lengths to help out – I’m hearing and experiencing more and more of this as time goes on. Now, go – time to enjoy your adventure. It made a huge difference, Reba! The woman at the Radisson was actually really upset, knowing how concerned we’d be and wouldn’t stop until she found us. I can’t wait to meet her. Wow – what an experience! I was on the edge of my seat reading this! I’m SO glad it turned out the way it did, but what a long and stressful day that must have been! I hope you are having a wonderful time there now! It looks like you are…what AMAZING photos! I can’t wait to hear more about your time there. What a gorgeous place, and glad to hear about the honest and friendly people. Miss you guys! May the sun shine brightly on you in Tahiti and NZ! What a wonderful ending, I had a feeling reading through something good was about to happen. May the sun shine for you in Tahiti and NZ. Sorry to cause any stress, lol! We are excited to meet all of the friendly strangers we hope to encounter in the next ten months! Thanks for taking the time to write! Praising the Lord with you that all ended well! What a testimony for sure!